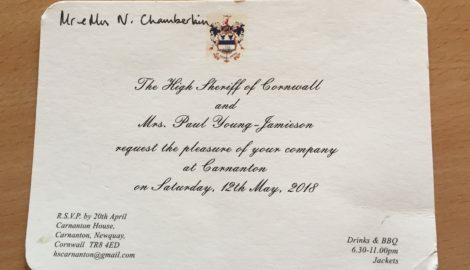 Neil from Zamu was invited to the High Sheriff of Cornwall’s party. Paul Young Jameson celebrating his appointment as High Sheriff held a garden party at the family home Carnanton Estate. Carnanton Estate is at St Mawgan. Carnanton is integral to the community in Mawgan-in-Pydar. Providing employment, social housing and support in the parish. 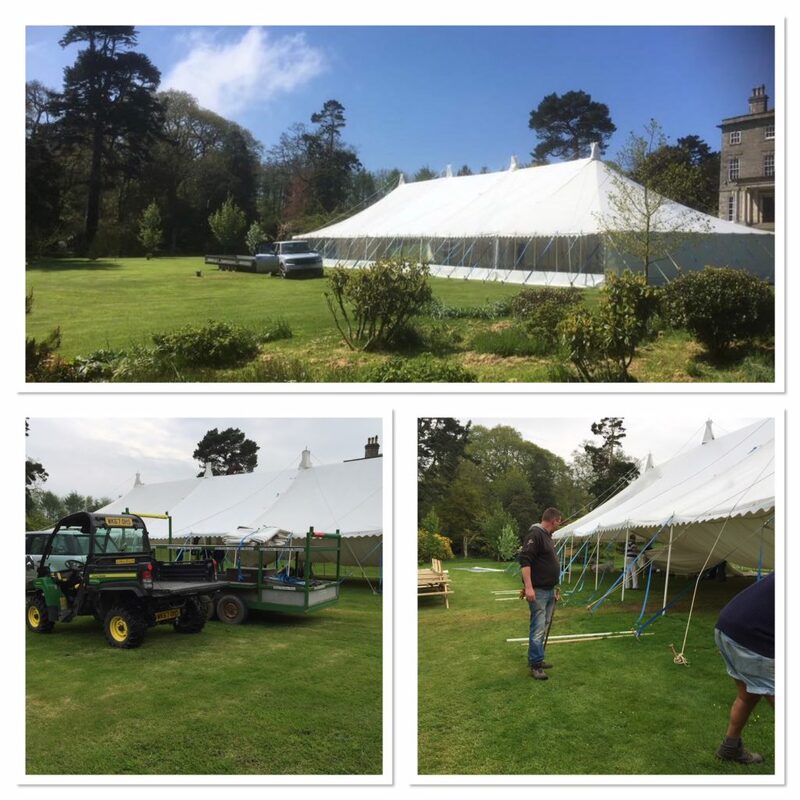 St Mawgan Eccentric Gentleman’s Association (a local fundraising organisation) provided and erected one of their large marquee’s in front of Carnanton House for the party. David Wilton of Pete Morris Butchers provided food in collaboration with his wife who does sophisticated buffets with a vintage theme. The setting in the grounds was idyllic the weather sunny and when it got dark we were treated to Fireworks. It brings it home to us how special Cornwall is. From a cultural and community perspective we need to preserve and celebrate our heritage as a way of inspiring the future. A great evening where we met some lovely people.